I’ve been getting a little fired up in my posts the last couple days. Warning, that trend is about to continue … I’ve been getting it from patients and friends: I just don’t have time to eat healthy! I have so many presents to buy and still have to work my job! OH-EM-GEE guys. This is not an excuse, it just means that you have to be better planners for the few weeks that your schedule is tight. If you can learn to do it now, imagine how many busy times it will help you through. Here’s what most people do when they don’t have time to pack a lunch: eat fast food or don’t eat at all (less likely but the healthier people think this is a better option). NEITHER of these is ok. You MUST eat multiple times a day to give your body the nutrients it needs to function properly, you’re not going to get those nutrients from fast food. End of story. Now that we have that established, how the heck do you bring enough food to last you an entire busy day?? Well, you can make a smoothie (recipe for an awesome one is on its way), make a healthy sandwich, bring a couple pieces of fruit and….drumroll please…make your own trail mix! YAY! The trail mix has to be homemade because packaged and pre-made mix usually has quite a bit of sugar in it. Sugar coated dried fruit, nuts roasted and nutrients killed, or just plain chocolate chunks that pretty much cancel the goodness of the other stuff. I’m lucky enough that my grocery has an awesome bulk section (see above) but you can buy packaged raw nuts and seed too. No excuses. Any other nuts you like but NO PEANUTS! The processing of those hasn’t been so great lately. Buy a few bags of whatever ingredients you like and keep them handy. Throw a couple handfuls of each into a resealable plastic bag whenever you need and throw them in your backpack, briefcase, or car. Make enough to last you a few days. I made this mix while writing this post. It took me a total of 2 minutes and 39 seconds. Just kidding, I didn’t time myself. But it was really quick! Anyone else have mix-in ideas? This entry was posted in Nutrition, Recipes and tagged Bulk, Dried fruit, easy, happy, Healthy, life, nutrition, Nuts, Quick, recipe, Snack, sugar free, Trail mix, Types of chocolate, Unsweetened on December 20, 2012 by ahappylass. Who doesn’t love guacamole? And all you people out there that are shaking their head, “no I hate guacamole, that delicious healthy fat combined with all those savory veggies and awesome spices, I hate it.” Obviously something’s wrong with you. The great thing about making your own dip is that you can take out any flavors you don’t like! With this batch, I decided to try to add some protein. I put in some black beans and they are so tasty. Definitely be doing that again. Guac is great to bring to parties with some crackers/chips or to put on top of salads. And it makes taco night SO much better. Plus, it’s so easy! This took me about 20 minutes to make and it will (hopefully with some restraint from Mike) last at least 3 or 4 days. 1. Our avocados were unripe yesterday so I took them out of the fridge and wrapped them in a brown paper bag. For some reason they ripen faster in paper bags. This morning they were perfect. 2. Cut avocados in half, take out the pit, and scoop into a large bowl. Add all other ingredients besides black beans. Mash it all up with a fork or masher. 3. Stir in beans or other add-ins. Taste test it! Mess with the spices however you see fit. It looks kinda gross but it is OH SO GOOD! What is your favorite way to eat guacamole? This entry was posted in Nutrition, Recipes and tagged Avocado, Black Bean, Cook, easy, Fruit and Vegetable, gluten free, Guacamole, happy, health, Home, lactose free, life, recipe, sugar free on December 11, 2012 by ahappylass. I am a big believer in spending some time on breakfast. One of my favorite things about having a day off or being on vacation is being able to spend time cooking and enjoying breakfast. A yummy pile of food + a book/newspaper + a good cup of tea or glass of mulled cider + good company = AWESOME MORNING. This past Sunday, Mike and I enjoyed a new (and now frequent) recipe. I hope to enjoy an equally lovely breakfast every day of this Thanksgiving holiday. Boil sweet potatoes until soft when stabbed with a fork. Start heating pan on Medium during this last step. 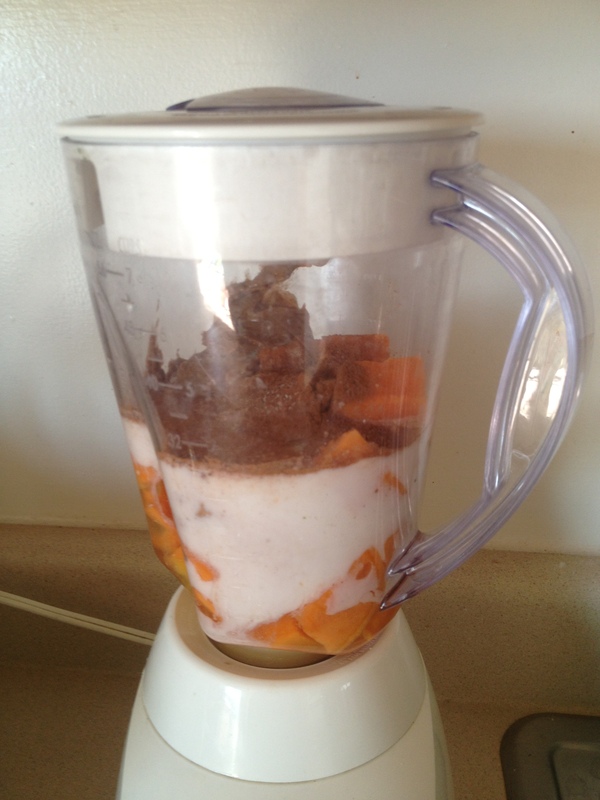 Drain then add sweet potatoes and all other ingredients to blender. Blend until smooth. After preheating pan for 5-ish minutes, pour two small pancakes at a time. Flip when the centers start bubbling. Cook on other side for 3-5 minutes. 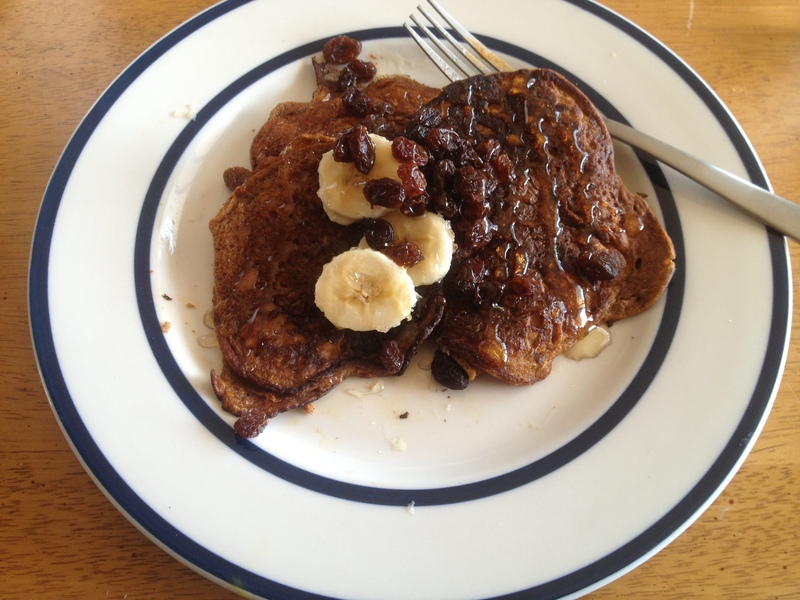 Stack a pile, add a topping (bananas, sautéed apples, raisins, honey, maple syrup, etc.) and ENJOY! *this recipe was adapted from Sammie Kennedy. By the way, thanks to everyone that commented on my post yesterday. 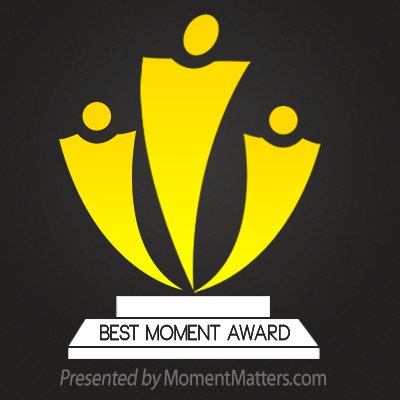 Recognizing the amazing qualities of the people around you starts to make you more amazing too! If you want to add to the comments, there’s still time! I’ll be reposting them on all Friday. What are some of your favorite breakfast traditions? This entry was posted in Nutrition, Recipes and tagged breakfast, Cook, dairy free, Fruit and Vegetable, gluten free, Maple syrup, Pancakes, sugar free, Sweet potato, Sweet Potatoes and Yams, Thanksgiving on November 20, 2012 by ahappylass. Yesterday I forgot to say Happy Halloween, so….HAPPY HALLOWEEN! I hope you all got lots of awesomely dressed trick-or-treaters. We got one (Darth Vader) and he looked very confused when we gave him dried fruit leathers. Haha. This recipe is grain-free, sugar-free, and dairy-free. Sounds disgusting right? WRONG. I had heard rumor of the awesomeness of Spaghetti Squash but this was my first experiment with the pretty yellow gourd. I decided, since it’s already in the name, to make Spaghetti and sub the noodles for squash. Mike and I were a little wary but jeez it’s good! A little time-consuming because the squash has to be cooked for a while but other than that it’s super easy. Cut the squash in half and cook at 450°F (230°C) for 45 minutes. While it’s cooking, simmer the tomato sauce, beef/poultry, and garlic. 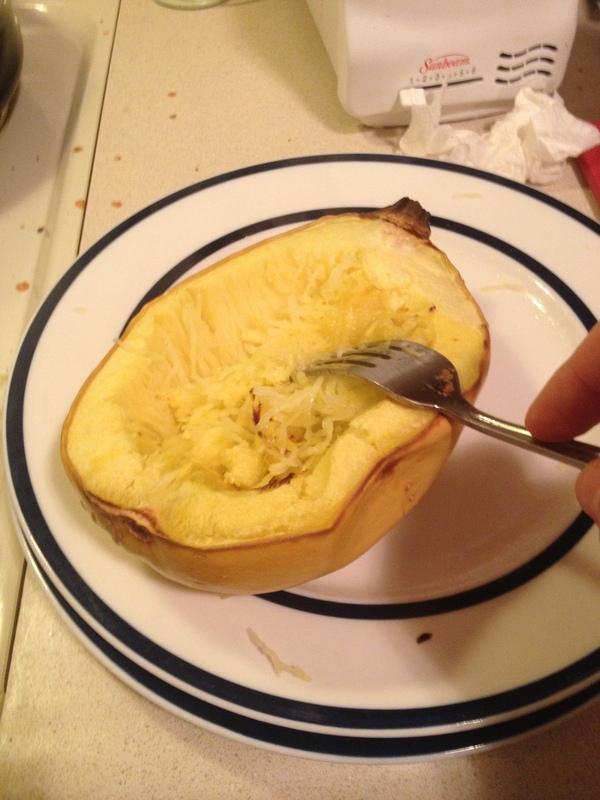 When the squash is slightly brown, take it out and go at it with a fork! It’s easier than it looks, I promise. 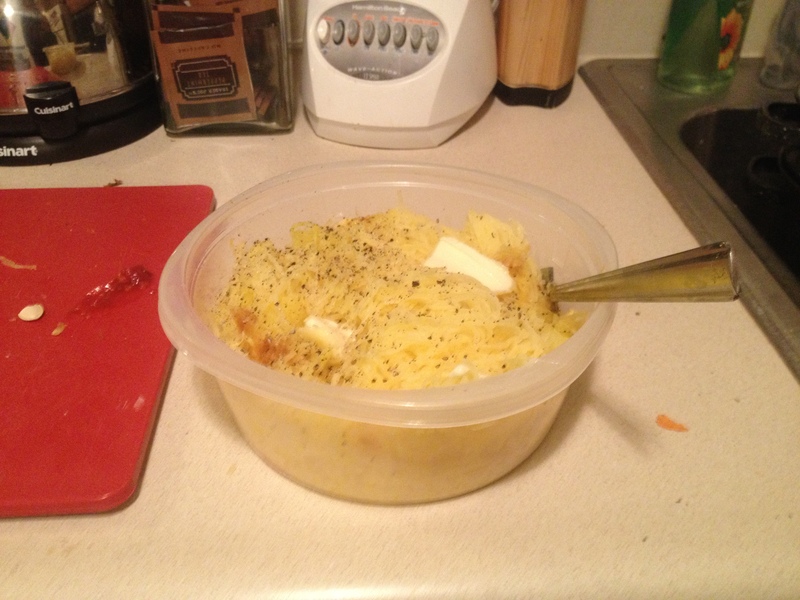 Mix the noodled squash with the butter, salt, and pepper. Top with the cooked sauce and enjoy! It’s a great evening meal because it doesn’t spike your insulin levels like normal pasta does. Keep those sugar and carb levels down before bed! 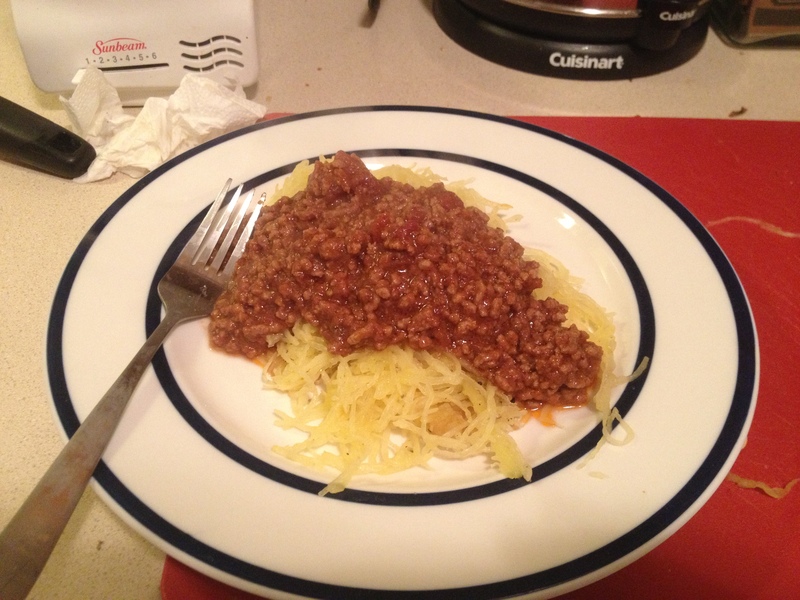 This entry was posted in Inspiration, Money Saving, Nutrition, Recipes and tagged Bolognese, celiacs, Cook, dairy free, Garlic, gluten free, happy, health, inspiration, Pasta, recipe, Spaghetti, Spaghetti Squash, sugar free, Tomato sauce on November 1, 2012 by ahappylass. Macaroons are one of the most deliciously allowable foods for those of us that are gluten, dairy, and sugar challenged. I have yet to really explain to you all why I try to be sugar-free but you’ll just have to trust me on this one, sugar is really not good for you. You can substitute Stevia or Xylitol for sugar but sometimes it can taste a bit wonky. In this recipe, it just works! So I made these macaroons and they are so flippin’ delicious. There are a few more steps than I’m used to but SO worth the brain power. 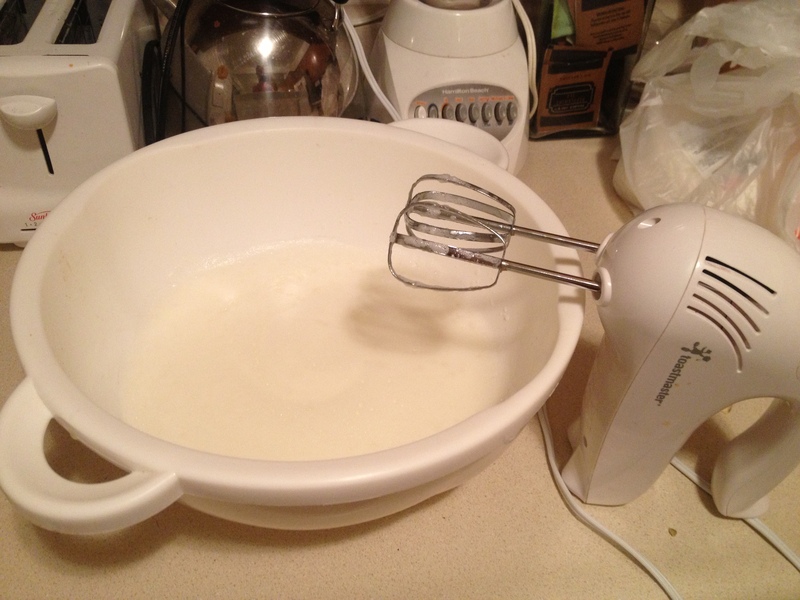 ^ Beat egg whites until frothy. ^ Stir in coconut, butter, and sweetener. 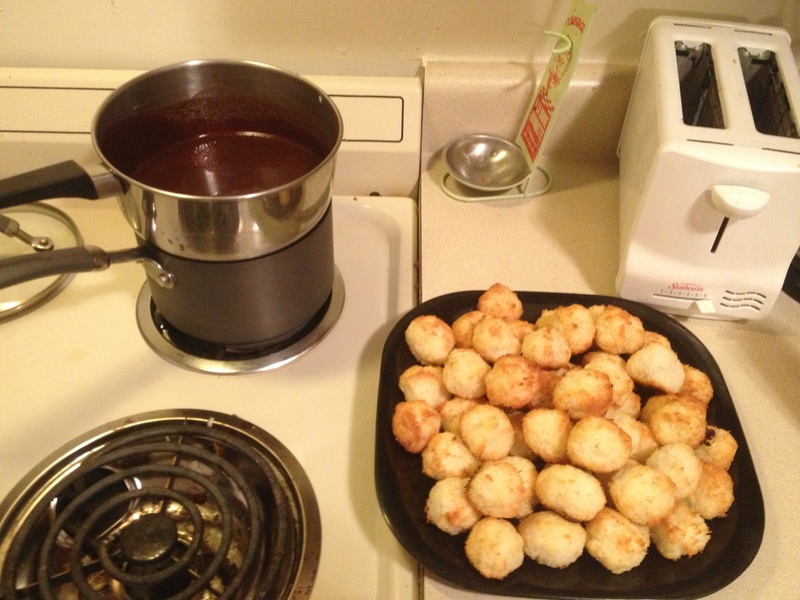 Roll into tablespoon sized balls and drop onto greased baking sheet. Bake at 350°F for 12 minutes. Cool in fridge until firm. ^ Melt chocolate, coconut oil, and butter together. Add sweetener. Dip macaroons in chocolate. Cool on wax paper. Keep refrigerated. Like an idiot, I got so excited to eat these babies that I didn’t take an after picture. DOH! But you can imagine how pretty AND tasty they were. And so easy to make. Try it, you will amaze yourself. Does anyone have plans for a nice meal this weekend? Who are you gonna smile at today? This entry was posted in Nutrition, Recipes and tagged Chocolate, Coconut oil, dairy free, dessert, Egg white, gluten free, health, lactose free, Macaroon, nutrition, recipe, Stevia, sugar free, Sugar substitute, Xylitol on October 25, 2012 by ahappylass. Today is a seriously gorgeous day in Peoria. Scattered clouds, beautiful blue sky, about 67°F. AND one of my best friends managed to extend a work trip in the area and we get a whole two days with her! She is leaving very soon and I’m gonna be really sad. It’s so amazing to be around someone who you can sit in comfortable silence with then break the silence with an awesome conversation and easy laugh. I love it and miss it/her a lot. 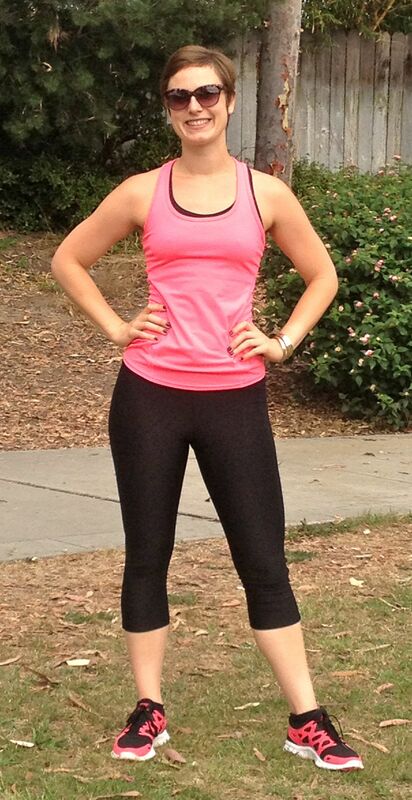 And what’s even more awesome is that she is gluten and lactose intolerant just like me! So this morning we made gluten free pancakes for all of us. They were SO good. Just sweet enough and dense enough to be like normal pancakes without all the bloating and over-full feeling. And Katie had the awesome idea to use the leftovers for a post-workout snack. 1) Whisk together the eggs, melted butter, coconut milk, and vanilla. 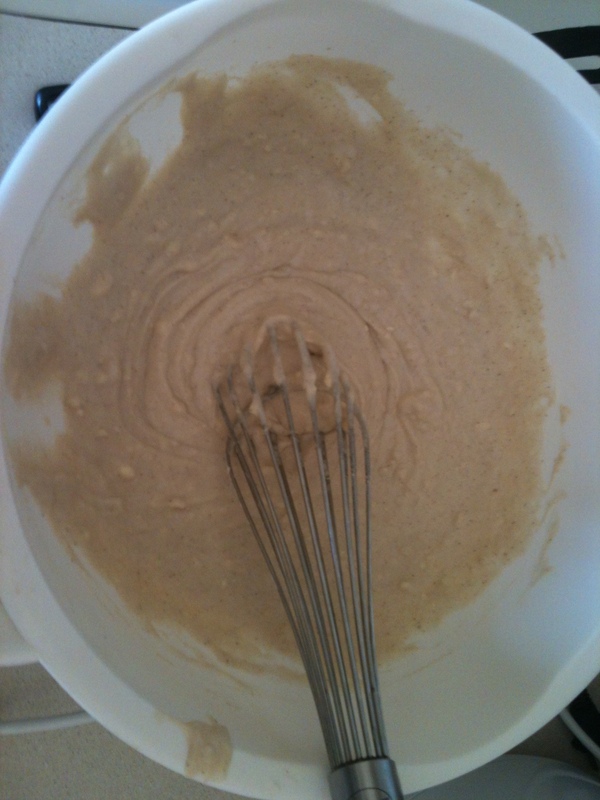 2) In a separate bowl, whisk together the dry ingredients. Stir in the egg mixture. 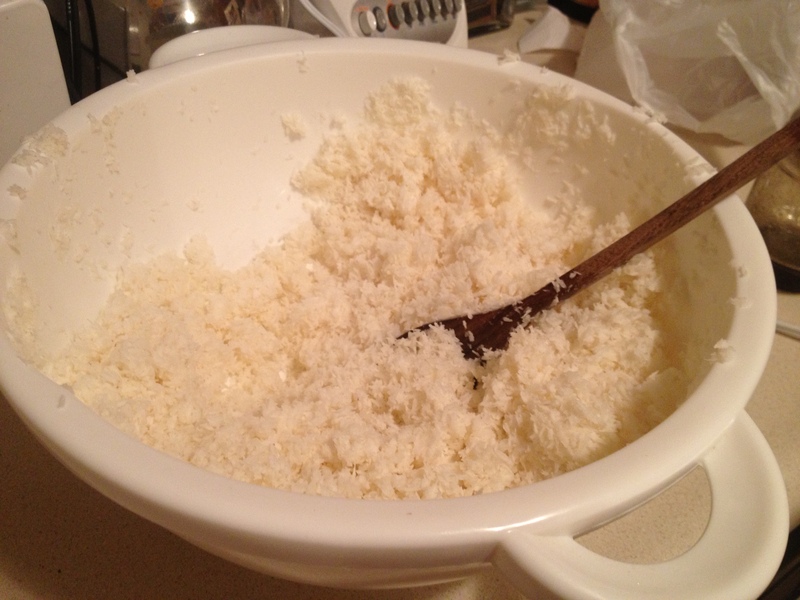 3) Let the mixture sit for 15 minutes (this makes them fluffier). Preheat skillet on medium for the last 5 minutes. 4) Lightly grease it with coconut oil or another high heat oil. Scoop the batter (I use a small glass) into small dollar sized pancakes. 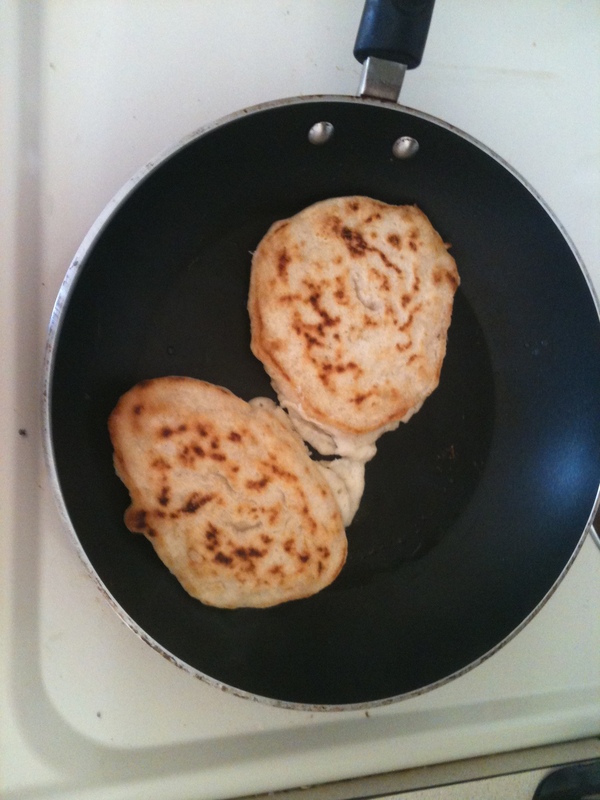 5) Cook pancakes for 1 to 2 minutes, till the tops lose their shine and bottoms are golden brown. Flip and cook for 1 to 2 minutes on the other side. 6) Top it with whatever delicious yummies you can find in your fridge. 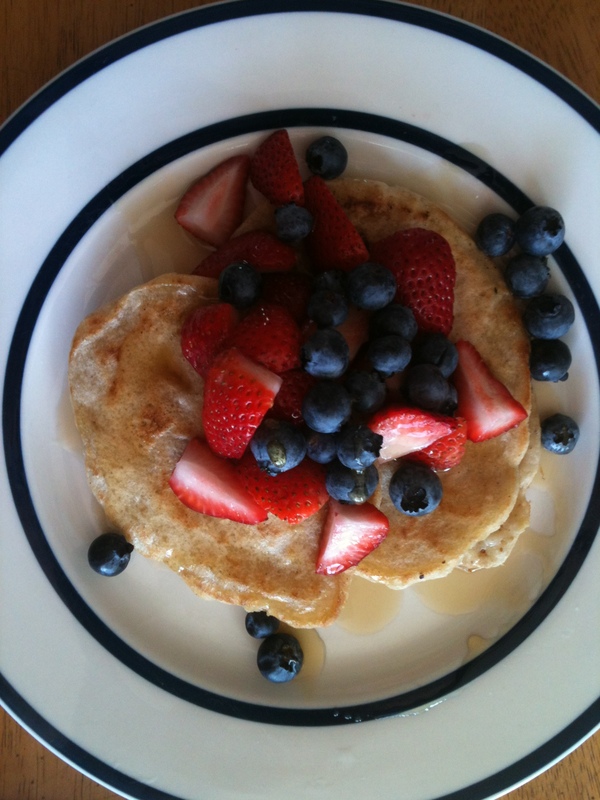 We used berries and pure maple syrup (not sugar free). Sunday breakfast is probably one of my favorite meals of the week. YUM. 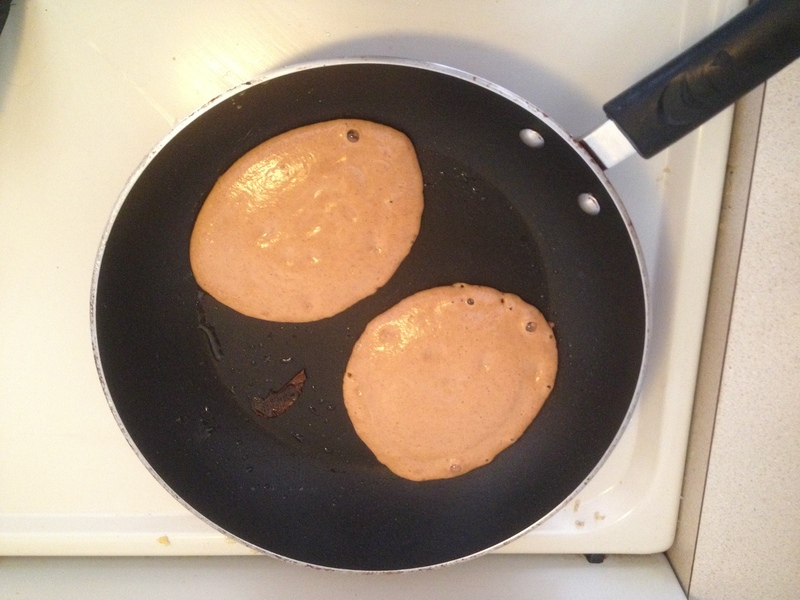 This entry was posted in Nutrition, Recipes and tagged Baking powder, breakfast, Cook, food, Gluten-free diet, lactose free, Pancake, Special Diets, sugar free, Sunday, Xanthan gum on September 30, 2012 by ahappylass. Low Grain, High Protein, Gluten Free Breakfast! Low Grain, High Protein, Gluten Free, Dairy Free, Sugar Free, and Raw. 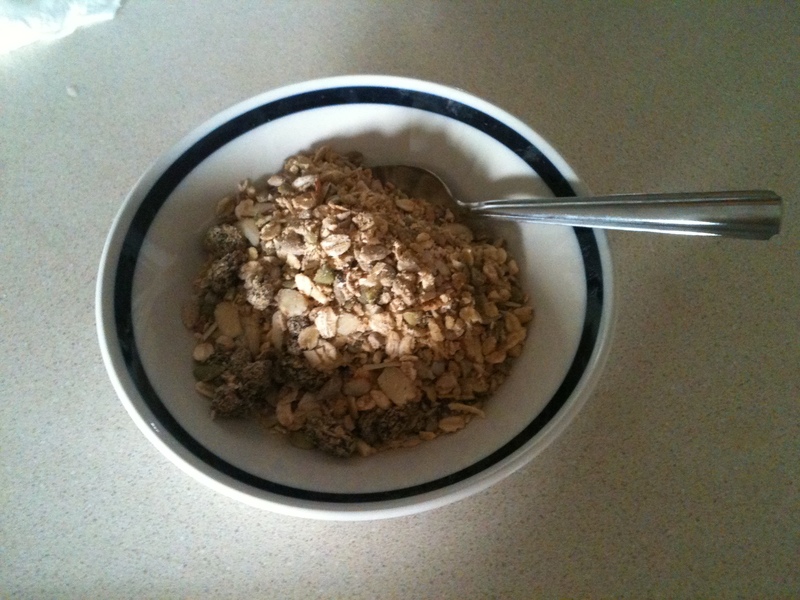 I realize it sounds pretty gross but I’m telling you, this “granola” is DELICIOUS. When I’m not home to cook, this is what Mike has for dinner. Haha. I started making this stuff when I started my new goal of less grain/carbs for breakfast and dinner and much higher protein. Granola is my #1 choice for breakfast but I can be kind of picky. That’s why I was so surprised that it is SO GOOD. It’s a twist on another recipe from the awesome book in this post. 1 cup dried fruit such as raisins or cranberries, or a mix! Grind up pepitas, sunflower seeds, and coconut. I use a tiny food processor I got at Goodwill. You could do it in a blender though, or just leave everything whole. Pour all that into a gallon ziploc bag. Add all other ingredients. Shake it all up. Scoop out 1/2 to 1 cup, pour some almond or coconut milk over it. Enjoy! This is possibly the easiest all-at-once breakfast I’ve ever made. It takes about 10 minutes to make a batch to last 2 or 3 weeks. And, because it’s so high in protein, it keeps me full for hours. 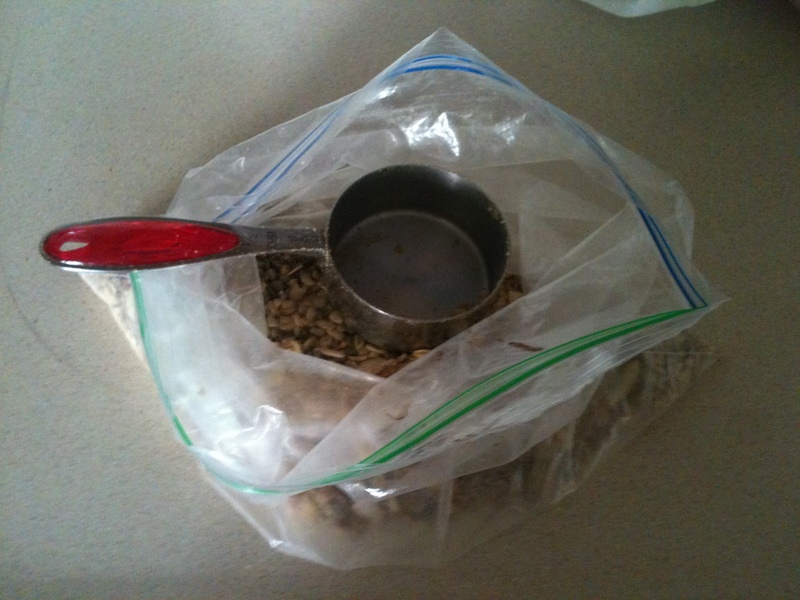 Another tip, keep the granola in the gallon bag with a 1/2 cup measuring cup in there. This way you can ration your supply saving you money and preventing over indulgence. This entry was posted in Nutrition, Recipes and tagged breakfast, celiacs, dairy free, food, gluten, gluten free, health, lactose intolerant, nutrition, raw, recipe, sugar free on September 13, 2012 by ahappylass.